November 3….Lubbock Fun Club Singles "SOS" Monthly Dinner - Come and enjoy friends and food at El Chico. As always, let us know you are joining us, so they can have appropriate wait staff and seating! Please RSVP by email to: sossingles45@yahoo.com or call Robbie at 790-7578; or Jan at 778-0419. Come have a great time and share a meal together! Tell a friend or bring a friend...but whatever you do, come join the fun with our group at El Chico, 4301 Marsha Sharp Hwy; 6:30 p.m.
November 3….Monte Montgomery in Concert - Guitar player extraordinaire....jaw-dropping performer....master songwriter - all these descriptions aptly, but only partially come close to describing Monte Montgomery - the incredibly talented guitar slinger from Austin, Texas. Named one of "Top 50 All-Time Greatest Guitar Players" by Guitar Player Magazine, Monte is a rare and true triple threat of singer, songwriter and master musician. His latest recording, a self-titled, 12 cut record, showcases Monte's stylistic diversity and soulfully explores the many shades of his artistry. The virtuoso, trademark guitar licks and arrangements you'd expect from Monte are there, forming the rich and colorful aural backdrop of his insightful songwriting and amazing voice. From bluesy roots rock like "Can't Fool Everyone" to wistful ballads to the jazzy "Could've Loved You Forever"...this record has it all. And just when you think you've got him pegged, he changes it up to leave listeners breathless with the sensual, lyrical, Latin-tinged "Moonlight Tango". It's no wonder that Austin City Limits producer Terry Lickona introduced him years ago on that program with these words: "Monte Montgomery blows people away. There is no other way to describe it." Reserved seats; Floor, first 5 rows $25 in advance; Remainder of floor $20 in advance; Standard balcony $15 in advance. Note: All seats $25 day of show. Purchase tickets by visiting cactustheater.com or call 762-3233. Cactus Theater, 1812 Buddy Holly Ave; Doors at 6:30; show 7:30 pm. November 4….Composers’ Forum Concert - Get to know the new face of music composition, as fresh works by student composers are showcased in this concert of contemporary exploration. On the program will be pieces for solo piano, solo flute, clarinet and electronics, voice and piano, viola and piano, and trombone octet, in addition to the screening of a mixed media film. In many cases, these are the *world premieres* of these fantastic new creations, so this is an opportunity to get to hear them for the very first time in live performance! Free, and open to the public. Hemmle Recital Hall, Texas Tech University; 6 p.m.
November 4….First Friday Art Trail - See the regular art venues...plus the exciting monthly additions showcasing art and artists downtown and throughout Lubbock. Catch a trolley or bus at many of the locations or pick up a FFAT map at any of the venues to see the art that can be found throughout the community each month during the event. First Friday Art Trail trolleys run continuously in downtown Lubbock during FFAT hours. Trolleys are free and you will find a "trolleyteer" on each trolley who is a treasure trove of info about FFAT and the arts in Lubbock and will help you navigate with ease. For more info and complete schedule click HERE! The trail runs throughout downtown and the Depot District. Event runs from 6 - 9 p.m.
November 4….Stephen Page Guest Artist Saxophone Recital - Described by noted American composer Libby Larsen as "fearless on stage," saxophonist Stephen Page has garnered international prominence as one of the leading saxophonists of today's younger generation. Well known for his interpretations of the great original works for saxophone, Stephen has also gained acclaim for his innovative arrangements and performances of the violin repertoire from composers such as Brahms, Faure, Grieg, Franck, Prokofiev, and Bach. He is currently teaching at the Butler School of Music within the University of Texas at Austin. 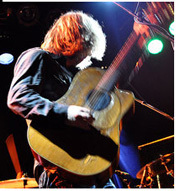 Page is a Yamaha Performing Artist, and a D'Addario Artist. Free, and open to the public. School of Music Choir Hall (Room 010), Texas Tech University; 7 p.m.
November 4….Kings of Cowtown Comedy World Tour: Cowboy Bill Martin and Chad Prather (Plus Special Guests JUST ADDED! ): - Cowboy Bill Martin and Chad Prather broke all the rules when it came to making it in show business! Martin built a huge stand-up following through 19 years of endless touring on land in comedy clubs, at sea with Carnival Cruise Lines, overseas entertaining our troops, and in concert with such acts as George Strait, Brad Paisley and all four members of the famed Blue Collar Comedy Tour. Then in late 2015, hit it big with his self-financed one-hour comedy special on CMT. Prather’s rise to fame came a little different. The in-demand humorist and host of a show on RIDE-TV called, IT’S MY BACKYARD, he has become one of the most recognized personalities on the network and was named CMA Texas Personality of the year. But like Martin, in 2015 his stardom skyrocketed with his hilarious and often poignant “rants in the truck” on Facebook that garnered him millions of fans where he became a household name. Proudly sponsored by Rank Rodeo Threads, together, these two entertainment mavericks formed a partnership - KINGS OF COWTOWN - and kicked off a comedy tour playing theaters and large country bars across the country adding stops like the famed Billy Bob’s Texas in Fort Worth, TX. For this show, both standard reserved and VIP tickets will be offered. VIP tickets are located on the first 3 rows and includes premium seating, a backstage Meet & Greet, picture with the guys and a commemorative, signed poster and lanyard. All other seats are $25. The Kings are selling-out everywhere. They work hard; play harder! And oh, by the way, they spend their afternoons delivering new cowboy hats to kids with cancer as part of the Cowboys Who Care Foundation. What’s not to love? Reserved seats; Floor $25 with VIP tickets priced at $40 for the first 3 rows - which also includes a signed commemorative poster, backstage Meet and Greet pass and lanyard. Meet and Greet will commence from 6 pm - 7 pm before the show...so arrive early if you have VIP tickets; Standard balcony $25. Purchase tickets by visiting cactustheater.com or call 762-3233. Box office open 3:00 - 5:30 pm daily. Cactus Theater, 1812 Buddy Holly Avenue. Doors open at 6:45; show begins at 7:30 pm. November 4 - 5….Holiday Extravaganza – All are invited to shop at this free event benefitting Lubbock Meals on Wheels, Hope Community of Shalom and Paul’s Project-Grace Campus. There will be over 200 themed gift baskets (for baby, men, women, pets, etc. ), wreaths, picket trees, jams & jellies, seasonal décor, huge bake sale and environmentally friendly items. Community Christian Church, 96th and Indiana; Friday: 9 a.m.- 3 p.m., Saturday: 10 a.m.- 2 p.m.
November 5….Lubbock Memorial Arboretum Fall Plant Sale – Come and enjoy the fall colors and shop for violas, pansies, ornamental kale and cabbage. For more information call 806- 797-4520. Lubbock Memorial Arboretum, 4111 University Avenue; 9 a.m. – Noon. November 5….Big XII College Football: Texas Tech Red Raiders vs Texas Longhorns (SOLD OUT) - Drive of Champions at 4th and University Ave; 11 a.m.
November 5….GIANT Screen Football: Texas Tech Red Raiders vs Texas Longhorns - Join us for a FREE SCREENING of the Tech vs. Texas Big XII football game as we again offer fans the chance to see the game on our new, GIANT screen in the Cactus Theater. The concession stand and Cactus cantina will be available for your enjoyment. For this game, there is no ticket or voucher required - we simply invite fans to see the game on the big screen with us. Seating will be general admission for this event....so sit wherever you'd like on the floor (balcony will only be opened if needed). We're excited to have this brand new screen in place and the highest-quality, digital, laser projection in town! Cactus Theater, 1812 Buddy Holly Ave; Doors open at 10:30 a.m.; Tech game screened at 11 a.m.
November 6….Dia de Los Muertos 5K & Fun Run – All ages are invited to celebrate tradition with fitness. Advance Registration: $20 Fun Run, $35 5K (3.1 mi), $20 Virtual Race. At the Door: $25 Fun Run, $40 5K. (Can only register online through 11/4) at http://diadelosmuertoslubbock. itsyourrace.com/. : Landwer House - Cesar Chavez/N. University; 8:30 a.m. Question #1: The piano is part of what instrument family ??? Answer: Pianos are members of the percussion family mainly because the hammers strike the strings. They can also be classified into the string family because the piano has strings. Question #2: The first Jack O’Lanterns were actually made from which vegetables?